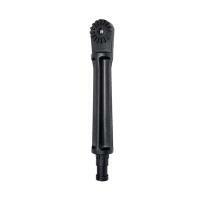 The Temple Fork Outfitters Telepole allow anglers to capture all the underwater action of their big catch. 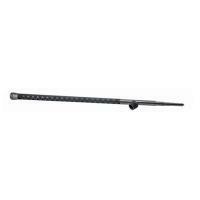 This durable camera and video pole extends to 88.5 inches to reach far into the water to see the fish action. Don’t miss a moment, the Temple Fork Outfitters Telepole is also great for taking fish selfies. 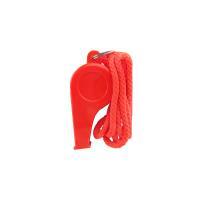 The Invincible Marine Basic Safety Whistle is made of durable plastic. This pea-less whistle is designed to perform when wet and meets United States Coast Guard specifications. A lanyard is included so the whistle can be scured around your neck. The Scotty Slip Discs give you that extra control over your rod holder or Scotty post mount, so you can get it at the angle that is just right for you! When placed between a rod holder post and a Scotty rod holder, it will allow you to achieve infinite adjustment angles. The Scotty Small Vessel Safety Equipment Kit comes with everything you need to be safe while on the water on your small boat, kayak, or canoe! Containing the essentials the Coast Guard requires for small craft, this investment was made to be life-saving for any number of situations. 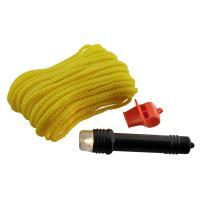 Includes almost 50 feet of buoyant heaving line, a watertight container, pealess whistle, and a watertight flashlight. 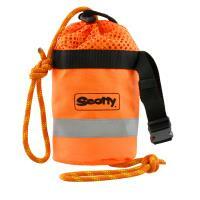 The Scotty Rescue Throw Bag is a bright orange nylon and polyester throw bag that no boater or kayaker should go without! This self-draining, bag contains 50 feet worth of braided MFP polypropylene floating rope and a 3M reflective safety band. An adjustable snapping strap is also included. 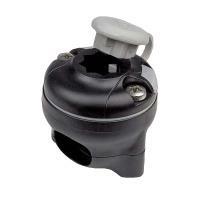 The RAILBLAZA 19-25 RailMount is an easily installed StarPort mount suitable for most boat rails. The RailMount eliminates the need for tools or drilling into your boat by securely attaching to your rails with a powerful clamp design. When you're finished with the mount, it can be quickly removed or repositioned! 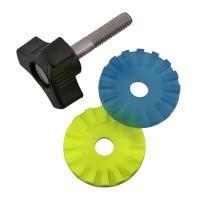 All hardware and rubber grips needed for installation are included with clear instructions on how to get started. 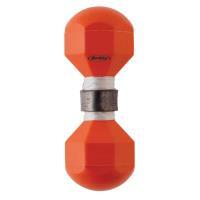 The Berkley Marker Buoy allows you to mark fishing spots or trouble areas. These bright orange buoys have a classic dumbbell shape. 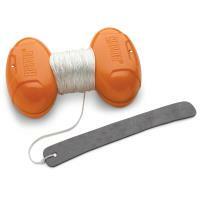 A six ounce anchor weight is included, along with 75 feet of line. This marker buoy features durable plastic construction. The Scotty Rod Holder Height Extender makes it easier to get to your rod, by extending the height of the rod holder by 6.5". The height extender also provides added clearance over the gunnels of smaller boats, where the rod holder may not be mounted right to the gunnel. This extender is made from durable re-enforced nylon and works with Scotty post mount rod holders (except the #240 Striker model).